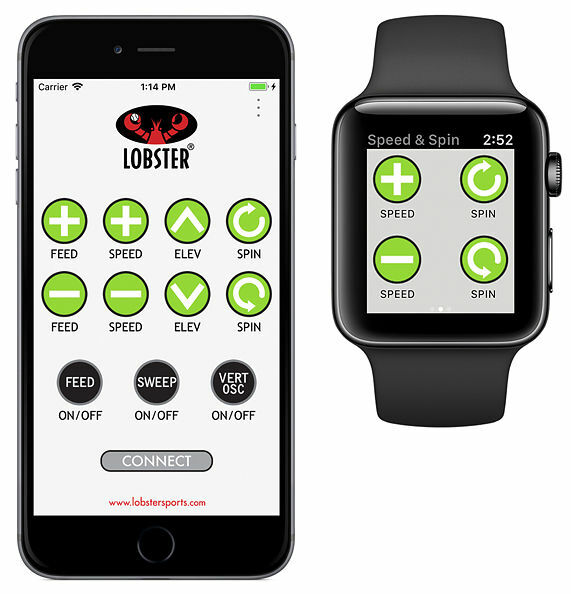 The elite10 remote for Apple is available with the purchase of an elite two or elite three ball machine and consists of a factory installed wi-fi receiver plus the free Lobster elite remote control app available for download at the App Store. Our proprietary system allows you to use an Apple Watch, iPhone, iPod, or iPad to control the complete operation of your elite two or elite three ball machine. Apple users will enjoy the benefit of not needing an additional remote control device to keep track of and watch users will be amazed at the convenience of controlling the machine from their wrist. Could only be purchased with Elite Two and Elite Three ball machine models. 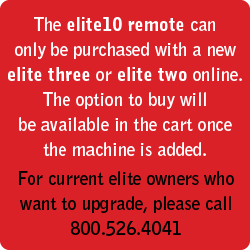 For existing owners of an elite two or elite three model machine seeking to upgrade to the elite 10 remote for Apple, please contact Tennis Ball Machines.